Sealed bids are invited from capable and experienced vendors undertaking heavy duty machining jobs as per given drawings / specifications. 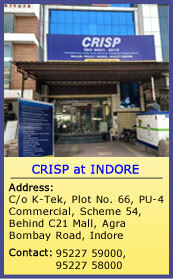 Detailed terms and conditions and other information relevant to this bid are available on our website: www.crispindia.com. The bids, complete in all respects, shall be awaited at CRISP counter by 4:00 p.m. on 16th October, 2017 and opened in the presence of authorized representatives of the vendors at 03:00 p.m. the next day. CEO, CRISP reserves the right to accept or reject any one or all bids without giving any reason.